Terrain map of United States of America (the lower 48 states; Hawaii and Alaska are not shown). Licensed Stock photo on BigStockPhoto. 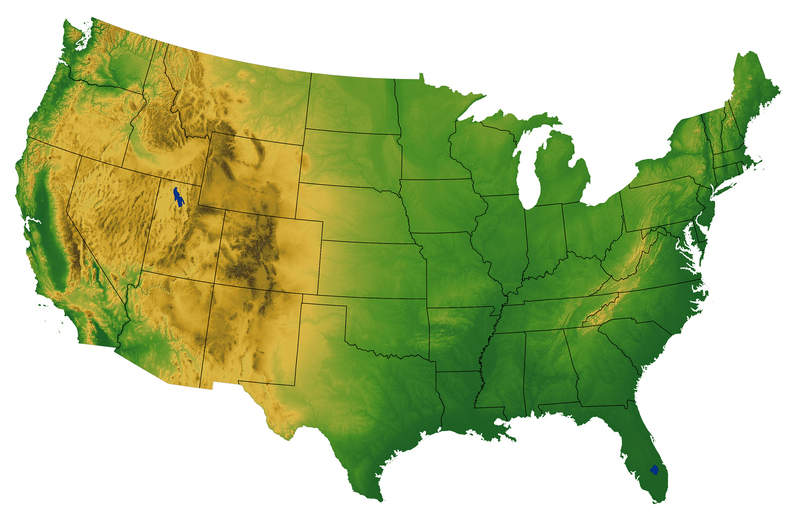 USA Map with terrain; . Photo by [file:field-file-photographer]/[file:field-file-source] ([file:field-file-license]). From "The First State" (Delaware in 1787), to the last state to join the Union 172 years later (Hawaii in 1959), each state has an individual history, topography, and cultural heritage - each is a unique entity as well as part of the nation. The original motto of the United States was "E Pluribus Unum" (Latin for "one from many"), which refers to the welding of a single federal state from a group of individual political units. "E Pluribus Unum" remains on the seal of the United States.